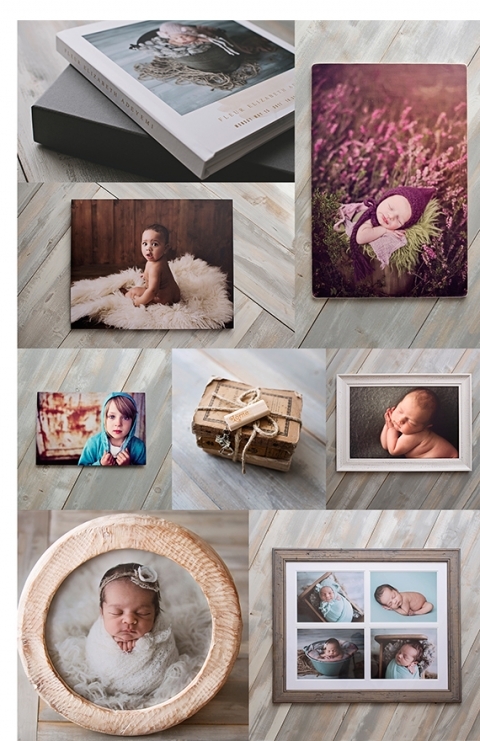 Celebrate your beautiful family by displaying your professional portraits on your wall. These magical images will give you so much joy; your precious photos will provide cherished memories of your children and family through all the stages of their life. Displaying your portraits on the wall for all to enjoy is not only decorative but love affirming and celebratory. It makes us feel safe, happy, loved and it reminds us of our best days. I think that professional photography is a necessary investment that sometimes gets delayed or forgotten time after time until one day the little ones have grown up and begun families of their own. I am here to provide for you lasting memories of the fleeting stages in your children’s journey to adulthood. Below are examples of my best selling products. My prices reflect the very high standard of photography and the exceptional quality of the products I offer. There are many other options for you to choose from during your viewing and ordering appointment. I will be there to help you get what you really want and give you plenty of help with mock-up and inspiration for your chosen artwork. I offer payment plans for orders over £500, please get in touch for details.